Bangladeshi border guards have recovered two dozen bodies from the country’s shore in the last two days, as tens of thousands of Rohingya Muslims make desperate attempts to flee the worst violence involving the Myanmar minority in at least five years. At the United Nations, the US ambassador to the world body, Nikki Haley, urged Myanmar’s security forces to avoid attacking innocent civilians. Around 27,400 Rohingya Muslims have crossed into Bangladesh from Myanmar since Friday, three UN sources said, after Rohingya insurgents wielding sticks, knives and crude bombs attacked police posts and an army base in Rakhine state, leading to clashes that killed at least 117 people. Myanmar said its security forces were carrying out clearance operations in northern Rakhine to defend against “extremist terrorists”. 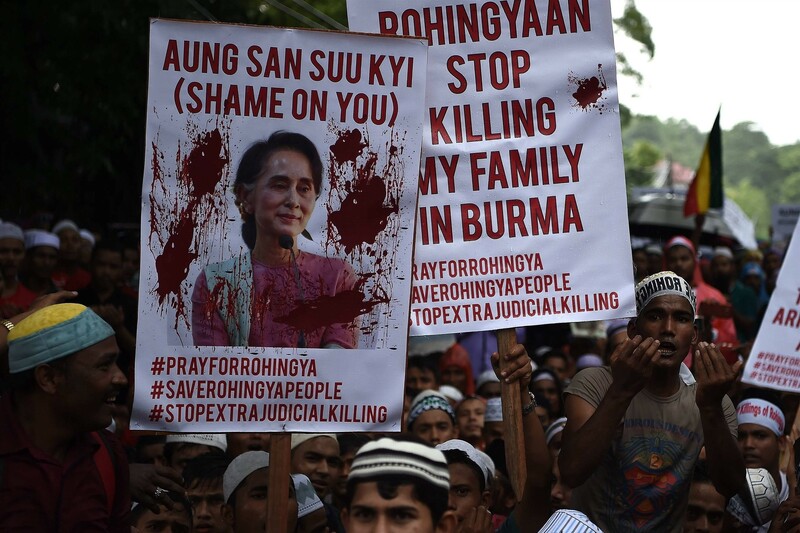 Monitors said fleeing Rohingya reported that the army and ethnic Rakhine Buddhist vigilantes have unleashed a campaign of arson aimed at driving out the Muslim population. Reuters reporters in Bangladesh on Thursday (Aug 31) saw a huge fire on the Myanmar side of the Naf River. The UN sources in Bangladesh said around 20,000 Rohingya were stranded in no man’s land between the two countries. One predicted the figure could jump to 30,000 later on Thursday. “Many thousands of people are increasingly at risk of grave violations of their human rights,” she said in a statement. “What we’re hearing is burning, burning, burning,” she said. The International Organisation for Migration joined UN Secretary-General Antonio Guterres in appealing to Bangladesh to admit people caught on the border. Bangladesh has insisted it lacks resources to care for them.